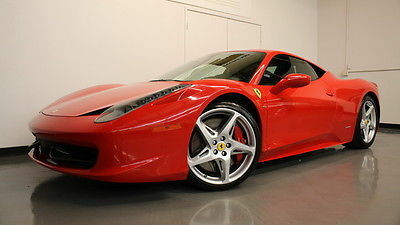 MonoBono Store Ferrari 458 Italia Bianco Avus Professional Athlete owned , This is a private sale not a dealer. No dealer fees. 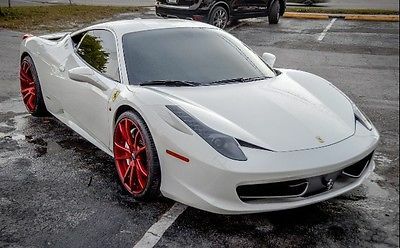 Up for sale is a 2011 Ferrari 458 Italia in the color Bianco Avus (White). Car is extremely clean and has been highly maintained. No expenses spared. Has just been serviced , I have all the paperwork. Vehicle is owned out right, Clean Title ready to be transfered to the next lucky owner. You will not be disapointed with this vehicle. Comes with a top of the line radar scrambler and both the stock black Ferrari wheels and the Red Forgiato wheels . Located in Tampa, Florida Zip Code 33647 Local Pick up or Buyer arranges shipping ANY QUESTIONS FEEL FREE TO CALL OR MESSAGE TOM 347-308-3230 VIN: ZFF67NFA7B0180732 Ferrari 458 brings extensive racing heritage and the newest in fuel-efficiency technology. A multi-displacement system, active aerodynamics and a clever alternator that only charges the battery when the engine is not under load are among the technologies Ferrari has employed to increase vehicle efficiency. The 458 also promises, to be not just an extremely capable track-ready car, but also features a comfortable leather interior with all the modern comfort features that can be driven comfortably to work or wrung out confidently on any competition tarmac in the world. Services completed by Penske Wynn Ferrari, Yellow Brake Calipers, Carbon Fiber Driver Zone + LEDS, Leather/Alcantara Interior, Daytona Style Seat - Electric, Front Wing in Carbon Fiber, High Emotion Low Emissions, Scuderia Ferrari Shields, Maneride Dual Mode Suspension, 20" Diamond Finish Sport Wheels, Yellow Rev Counter, High Power Hifi System. 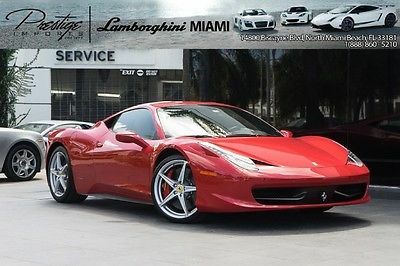 2011 Ferrari 458 Italia Vital Information Year Make Model Mileage Engine 2011 Ferrari 458 Italia 36,454 4.5L DOHC 32-Valve V8 Engine Exterior Interior Stock# VIN Rosso Corsa Nero #78887 ZFF67NFA4B0178887 Carfax Highlights View Carfax Report Not all accidents or other issues are reported to CARFAX. The number of owners is estimated. See the full CARFAX Report for additional information and glossary of terms. Carfax Highlights No Accidents / Damage Reported to CARFAXNo Airbag Deployment Reported to CARFAXVehicle Qualifies for the CARFAX Buyback GuaranteeNo Structural/Frame Damage Reported to CARFAXNo Manufacturer Recalls Reported to CARFAXNo Indication of an Odometer Rollback2 OwnersNo Total Loss Reported to CARFAX Photos Hello, Thank you for your interest in this vehicle. Please call or TEXT MIKE MORALES directly at (951)403-4240 or email me at gemotorcars@yahoo.com Hello, Thank you for your interest in this vehicle. Please call or TEXT MIKE MORALES directly at (951)403-4240 or email me at gemotorcars@yahoo.com Hello, Thank you for your interest in this vehicle. Please call or TEXT MIKE MORALES directly at (951)403-4240 or email me at gemotorcars@yahoo.com Hello, Thank you for your interest in this vehicle. Please call or TEXT MIKE MORALES directly at (951)403-4240 or email me at gemotorcars@yahoo.com Hello, Thank you for your interest in this vehicle. Please call or TEXT MIKE MORALES directly at (951)403-4240 or email me at gemotorcars@yahoo.com Hello, Thank you for your interest in this vehicle. Please call or TEXT MIKE MORALES directly at (951)403-4240 or email me at gemotorcars@yahoo.com Hello, Thank you for your interest in this vehicle. Please call or TEXT MIKE MORALES directly at (951)403-4240 or email me at gemotorcars@yahoo.com Hello, Thank you for your interest in this vehicle. Please call or TEXT MIKE MORALES directly at (951)403-4240 or email me at gemotorcars@yahoo.com Hello, Thank you for your interest in this vehicle. Please call or TEXT MIKE MORALES directly at (951)403-4240 or email me at gemotorcars@yahoo.com Description 2011 Ferrari 458 Italia 2011 FERRARI 458 ITALIAROSSO CORSABLACK LEATHERLOADED WITH OPTIONSScuderia Shields Red Brake CalipersCarbon Ceramic BrakesYellow Rev CounterCarbon Fiber Driving Zone Carbon Fiber Central BridgeCarbon Fiber Racing Seats Handly Fire ExtinguisherLeather HeadlinerCD ChangeriPod ConnectionAuto Dimming Rearview MirrorPower Side View MirrorsRadioNav Navigation SystemBluetooh ConectivityFront & Rear Parking SensorsDeviated Red StitchingRed Stripe in SeatsRed Seat BeltsBlack CarpetsTire Pressure Monitor SystemWE SHIP WORLDWIDELEASING & FINANCING AVAILABLETHIS IS A ONE OF A KIND CAR!DON'T MISS THE OPPORTUNITY! !WE NEED YOUR TRADES!! !call or text mike at 951.403.4240 or visit us at www.gemotorcars.com Check out this gently-used 2011 Ferrari 458 Italia we recently got in. *Note - For third party subscriptions or services, please contact the dealer for more information. * Indulge yourself with one of the most highly crafted, most luxurious automobiles available today. Intricately stitched leather and ergonomic design seats are among the details in which test drivers say that Ferrari 458 Italia is in a league of its own All records are included with the purchase of this well-maintained pre-owned vehicle. Adjectives like impeccable, spotless, and immaculate can be used to describe how clean this Ferrari 458 Italia is, causing it to feel more like a new vehicle than a pre-owned one. Drive off Global European Motorcars LLC's lot in this superb 2011 Ferrari 458 Italia knowing the strength of Ferrari's factory warranty is standing behind you. If you're looking for world-class speed, acceleration, cornering and handling, don't blink because you'll miss this truly amazing automobile. This impeccably built Ferrari 458 Italia comes with a plethora of added features that have made this vehicle a unique find. These options will simply amplify the experience of owning and driving this wonderfully crafted Ferrari. With an efficient and easy to use navigation system, this Ferrari 458 Italia will help get you from Point A to Point B in no time flat. A perfect find to complement any rare automotive collection. This beautiful lass will turn heads everywhere she goes. High-end wheels help round out the many options of this Ferrari 458 Italia . 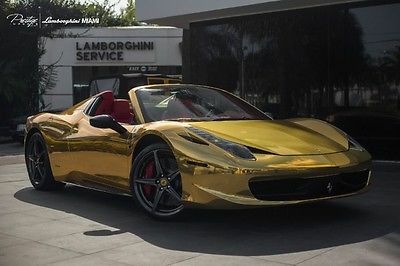 More information about the 2011 Ferrari 458 Italia: The 458's base price hovers right around $225,000, which places it among the most expensive of the performance cars available in North America. The Lamborghini Gallardo and Porsche S Turbo may compete in terms of performance, style and price, but the Ferrari 458 brings extensive racing heritage and the newest in fuel-efficiency technology. A multi-displacement system, active aerodynamics and a clever alternator that only charges the battery when the engine is not under load are among the technologies Ferrari has employed to increase vehicle efficiency. The 458 also promises, to be not just an extremely capable track-ready car, but also features a comfortable leather interior with all the modern comfort features that can be driven comfortably to work or wrung out confidently on any competition tarmac in the world. This model sets itself apart with Aggressive styling, standard 7-speed transmission, world-leading technology, and extraordinary power and handling Contact Us Dealer Contact Global European Motorcars LLC Mike Morales gemotorcars@yahoo.com (951) 403-4240 Mike Morales 951.403.4240 cell 951.279.1700 office 951.279.1717 fax gemotorcars@yahoo.com - EMAIL www.gemotorcars.com - website GLOBAL EUROPEAN MOTORCARS LLC 1655 e. 6th st. suite b2 corona, ca. 92879 Carfax Optional Equipment INTERIOR & EXTERIOR AUTO-DIMMING REARVIEW MIRRORS[MIR2]Cost: $1496.00Details:Auto-Dimming Rearview Mirror20" DARK PAINTED ALUMINUM WHEELS[RIFS]Details:Aluminum WheelsLEATHER LOWER ZONE INTERIOR TRIM[CTU3]Cost: $1102.00CARBON FIBER CENTER CONSOLE[CILR]Cost: $2518.00SUPER CARBON FIBER RACING SEATS[RSCH]Cost: $7555.00TWO-TONE INTERIOR[DUAD]Cost: $5509.00COLORED SAFETY BELTS[CSB1]Cost: $866.00GAS GUZZLER TAX[-TAX]Cost: $3000.00RUN-FLAT TIRES[FLAT]Cost: $2754.00 CARBON FIBER STEERING WHEEL W/LED LIGHTING[LEDS]Cost: $4564.00CRUISE CONTROL[CRS1]Cost: $1046.00Details:Cruise ControlCARBON FIBER ENGINE COMPARTMENT TRIM[CEL2]Cost: $7083.00ANTI-CHIP EXTERIOR FILM[CHIP]Cost: $3007.00CUSTOM SEAT PIPING COLOR[PIP1]Cost: $866.00CARBON FIBER OUTER SILL COVER[CEXS]Cost: $7712.00IPOD INTEGRATION[IPOD]Cost: $881.00ROSSO CORSA[-PNT22]DEALER PREPARATION[-PREP]Cost: $350.00 TACHOMETER IN YELLOW[RPMY]CARBON FIBER DRIVER AREA W/LED LIGHTING[CIDL]Cost: $6925.00ROSSO, LEATHER SEAT TRIM[-INT7]Details:Leather SeatsCARBON FIBER LOWER ZONE INTERIOR TRIM[CILZ]Cost: $6138.00ROSSO CORSA BRAKE CALIPERS[CALR]Cost: $1339.00LEATHER HEADLINER UPHOLSTERY[RUF1]Cost: $787.00TIRE PRESSURE[TPM0]Details:Tire Pressure MonitorCARBON FIBER KICK SILL[CISK]Cost: $1731.00FIRE EXTINGUISHER[EXT1]Cost: $772.00 Standard Equipment ENTERTAINMENT AM/FM stereo w/6-disc changer, auxiliary audio input, iPod integration, Bluetooth -inc: MP3 playback, speed-sensitive volume control, (6) speakers EXTERIOR Rear lip spoiler 20" x 8.5" front & 20" x 10.5" rear painted alloy wheels Rear fog lamps Variable intermittent wipers Bi-xenon HID auto leveling headlamps -inc: washers 235/35R20 front & 295/35R20 rear performance tires Heated pwr-adjustable, foldable mirrors INTERIOR Leather dashboard Front leather-trimmed bucket seats w/4-way adjustments Rear window defroster Driver footrest Tilt/telescoping leather-wrapped steering wheel w/audio controls Full-floor console w/box Security system w/engine immobilizer Pwr door locks Front bucket seats w/4-way adjustments Leather door trim Cargo light Aluminum accents Remote trunk release Leather/aluminum console insert (1) 12V pwr outlet Reading lights Aluminum door panel insert Dual front door bins Remote keyless entry Pwr windows w/1-touch down Dual-zone automatic climate control Illuminated entry Cloth headliner Instrumentation -inc: systems monitor, redundant digital speedometer, in-dash clock, outside temp gauge, tachometer Illuminated, locking glove box MECHANICAL Battery run-down protection Front & rear independent active, adjustable self-leveling suspension -inc: magnetic fluid-filled shocks, front & rear stabilizer bars Dual stainless steel exhaust w/polished tailpipes Rear limited slip differential 7-speed dual-clutch automatic transmission with manual override Brembo 4-wheel vented disc brakes Rear wheel drive Variable electric-assist pwr steering 4.5L DOHC 32-valve V8 engine SAFETY 4-wheel anti-lock brakes Electronic traction control Daytime running lights Dual front airbags w/front passenger on/off Side-mounted airbags Electronic stability control Height-adjustable seatbelts w/pre-tensioners Tire pressure monitoring system Secure Online Credit Application Applying for a vehicle loan online is one of the quickest and easiest application methods. Our secure online application form is easy to complete, all you need are a few personal and employment details. Get started now. Below are a few of the other vehicles currently available from Global European Motorcars LLC Shipping Global European Motorcars LLC proudly recommends MoveCars.com for your vehicle transportation needs. MoveCars.com contains a directory of transportation providers servicing the US, Canada and beyond. Get your Free Quotes Now at MoveCars.com! View more info » About Us Located in Corona, California, Global European Motorcars, LLC. is a pre-owned, late model dealer that provides customers with a complete automotive experience at competitive prices. Global European Motorcars, LLC. is dedicated to customer satisfaction and exceptional quality car services. We have provided you with a map, as well as our address and phone number to help you find us easily. We are passionate about luxury cars and we intent on sharing that passion with you when you purchase your new car from us. Global European Motorcars is a Family owned operation that specializes in High end Luxury Automobiles at the most affordable Pricing. Global European Motorcars LLC is founded by owner Michael Morales. Mike's love and passion for cars has been there all his life since he was young. Now he is able to share his passion with the rest of the world. We specialize in quality luxury pre owned sports cars and luxury exotics from all over the nation, Mike personally, has always handed picked all his cars since day one, and he continues to do this with a passion he feels that no one else does. Our trust, integrity, and respect goes along way with customer satisfaction being the number one priority. We are proud to offer these values in our sales and business practices so our customers keep coming back. 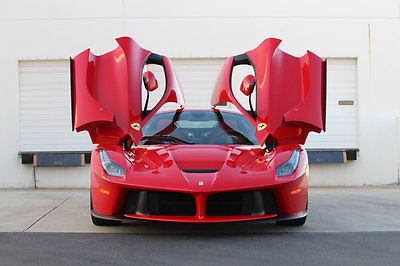 We currently are the biggest high end luxury sports car dealer in the city of Corona ca. We house all our cars indoors in our Corona Ca. show room for all to see. Were open 10am to 7pm Monday thru Saturday and Sunday's by appointment only. The vehicles on our lot have the best prices and quality in the area so come by and see us today! Terms and Conditions The sales price does not include tax, titles, and license. If buyer resides in California he or she will be paying ca. sales tax. If car is purchased out of ca. and is driven out of the state of California buyer is still responsible for ca. sales tax paid of 8% local corona tax rate. If buyer purchases unit, and has unit shipped out of ca. we do not have to charge ca. sales tax at all. Buyer will then pay any sales tax to there local registering state. Ad created by ecarlist.com. Call us at (800) 747-2983 to find out how ecarlist can service your dealership. 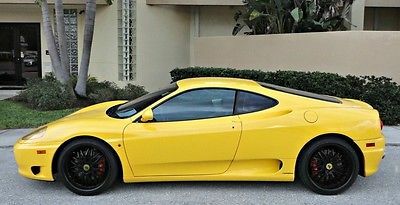 Photo Viewer 1999 Ferrari 360 Modena ASK SELLER QUESTION Vital Information Year Make Model Mileage 1999 Ferrari 360 Modena 24,004 Exterior Interior Stock # VIN Yellow Black 75 ZFFYR51A3X0119475 Engine view window sticker Carfax Highlights View Carfax Report Not all accidents or other issues are reported to CARFAX. The number of owners is estimated. See the full CARFAX Report for additional information and glossary of terms. 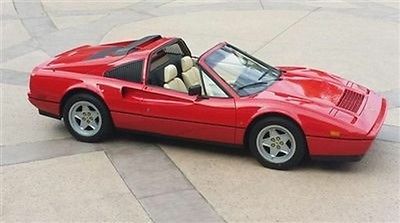 Carfax Highlights No Accidents / Damage Reported to CARFAXNo Airbag Deployment Reported to CARFAXVehicle Qualifies for the CARFAX Buyback GuaranteeNo Structural/Frame Damage Reported to CARFAXNo Manufacturer Recalls Reported to CARFAXNo Indication of an Odometer RollbackNo Total Loss Reported to CARFAX View All Photos Description 1999 Ferrari 360 Modena 1999 Ferrari 360 Modena! LIKE NEW! FLORIDA CAR! CLEAN CARFAX REPORT! AUTOMATIC! ONLY 24K MILES! NEVER SMOKED IN! GARAGE KEPT! 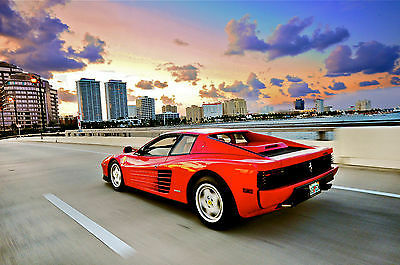 WE SERVICE/SELL FERRARI AND ALL OTHER MAKES! FINANCING AVAILABLE! CALL BRYAN 941 600 5220 This vehicle qualifies for super-low rates through our finance programs. For out-of-state buyers we help arrange low cost auto shipping. If you have any questions regarding this vehicle, please feel free to call us at 941-924-5885 or email us at sales@scottisautos.com Scotti`s Auto Sales has established a rich legacy of offering the highest quality used cars is Sarasota, Florida. With this in mind, Scotti`s Auto Sales is proud to offer you these vehicles at a tremendous savings. Good luck and congratulations on your purchase! SCOTTIS HAS AN A+ RATING WITH THE BETTER BUSINESS BUREAU. https://www.youtube.com/watch?v=gRc9ZhYTf3A&feature=youtu.be A.S.E. Certified Technician Inspected. **PRICED BELOW RETAIL TO SELL FAST** @@BEST DEAL IN TOWN!!!!!!! Call 941-924-5885 Need Financing? Apply Through Our Secure Link. http://www.scottisautosales.com/web/financing Guaranteed Credit Approval! * View Our Inventory At http://www.scottisautosales.com/web/inventory Hablamos Espanol Schedule a test drive or just come and visit us - Apply for credit Warranty: Certain restrictions may apply..Ask for details Selling price does not include: tax, tag, title, registration, adm. fee, or any other fees related to transfer of ownership. Please Understand Our Vehicles Are Pre-Owned, Sometimes They Come Without: Extra Keys, CD Magazines, Navigation Discs, Owner`s Manuals, Floor Mats. We Will Happily Order Any Parts/Accessories For You At An Additional Cost. **Scotti`s Auto Repair And Sales Inc. reserves the right to sell this vehicle at anytime, Contact us to confirm availability. We do our best to advertise equipment, packages, options and condition correctly, however, we are not responsible for typographical errors, omissions, or inconsistencies. Contact us to verify all equipment stated or perceived as well as any questions regarding condition. Scotti`s Auto Repair And Sales Inc. will not be liable for mistakes, errors, omissions or issues otherwise associated with Internet vehicle listings, Contact us to verify prior to making your purchasing decision.. Price Disclaimer: Prices subject to change without notice** *Restrictions may apply Contact Us Dealer Contact Scotti's Auto Sales Carfax Secure Online Credit Application Applying for a vehicle loan online is one of the quickest and easiest application methods. Our secure online application form is easy to complete, all you need are a few personal and employment details. Get started now. Shipping Scotti's Auto Sales proudly recommends Earth Auto Shippers for your vehicle transport. Earth Auto Shippers is a fully licensed vehicle shipping company. Earth Auto Shippers offers "door-to-door" low-cost shipping services using enclosed and open trailers. View more info » SCOTTIS AUTO SALES https://www.youtube.com/watch?v=gRc9ZhYTf3A&feature=youtu.be Scotti's Auto Sales Is A Family Owned Business And Has Been Serving Sarasota For Over 30 Years. We Service And Sell All Types Of Vehicles Including BMW, Mercedes, Audi, Porsche, Volkswagen, And More! Most Of Our Vehicles Come With Warranties. We Offer Financing For All Types Of Credit. Sell Your Car To Us At A Fair Market Value! Scottis Repair Center Is Now Located Next Door At 3855 S. Tuttle Ave. We Take Pride In Fully Servicing Vehicles In Our World Class Service Department! SALES 941-924-5885 Ext#1 SERVICE Ext#2 Recommended Links Scotti's Auto Sales recommends financing from Esurance, Travelocity, Priceline and My Auto Loan. Please click below to apply online. Ad created by eCarList.com. Call 214-722-8200 to find out how eCarList can service your dealership. 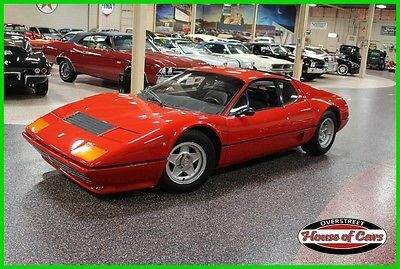 Photo Viewer 1986 Ferrari 328 GTS ASK SELLER QUESTION Vital Information Year Make Model Mileage Engine 1986 Ferrari 328 GTS 14,575 Exterior Interior Stock# VIN Rosso Corsa Red Crema Leather Interior 20715 ZFFWA20T0G0063883 Carfax Highlights View Carfax Report Not all accidents or other issues are reported to CARFAX. The number of owners is estimated. See the full CARFAX Report for additional information and glossary of terms. Carfax Highlights No Accidents / Damage Reported to CARFAXNo Airbag Deployment Reported to CARFAXVehicle Qualifies for the CARFAX Buyback GuaranteeNo Structural/Frame Damage Reported to CARFAXNo Manufacturer Recalls Reported to CARFAXNo Indication of an Odometer RollbackNo Total Loss Reported to CARFAX Photos Contact Us Dealer Contact Marino Performance Motors Tom Clinton info@marinoperformancemotors.com 561-254-8250 Carfax Secure Online Credit Application Applying for a vehicle loan online is one of the quickest and easiest application methods. Our secure online application form is easy to complete, all you need are a few personal and employment details. Get started now. About Marino Performance Motors Greg Marino’s enthusiasm for automobiles started at an early age with the now classic Ford Mustangs. Driven by an intense interest of the cars he wanted to know them inside out, lifting engines and transmissions, restoring chassis, savoring the process of fine tuning and making adjustments to get optimum performance. Beginning in his teens working for years with one of the top dealerships in New England, Greg decided to venture off on his own. With a $10,000 loan on a small twenty car lot, he founded Auto-torium and over a span of 20 years built his business into one of New Hampshire’s largest and most successful dealerships. During this time he has continued his infatuation for exotic imports and Mustang Shelbys buying and selling within his private collection. (optional add on: and also by racing Porsches.) Marino Performance Motors was sparked by Greg’s passion for finding the elite of performance, classic muscle cars and exotics at the best price. His mission is to provide you with the vehicle you’ve been searching for, not only to enjoy, but as an investment well below new model pricing eliminating the high financial losses attributed to purchasing new. For him these automobiles are an integration of artistic design and the ultimate in performance and technology. He looks forward to collaborating with clients who share this deep appreciation. Ad created by eCarList.com. Call 214-722-8200 to find out how eCarList can service your dealership. Beautiful 1989 TR. Last major service in 2009Beautiful interiorOriginal paintClear car fax.Car is rollable. 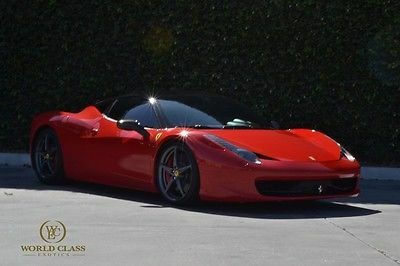 Photo Viewer 2013 Ferrari 458 Italia VIEW OTHER AUCTIONS ASK SELLER QUESTION Vital Information Year Make Model Mileage Engine 2013 Ferrari 458 Italia 3,800 4.5L 8-Cyl Engine Exterior Interior Stock# VIN Unknown Color FE35 ZFF67NFA5D0189335 view window sticker view new window sticker View All Photos Description 2013 Ferrari 458 Italia World Class Exotics is proud to offer this beautiful 2013 Ferrari 458 Italia in red and loaded with carbon fiber. Black interior with red stitching. Carbon fiber steering wheel and trim. Equipped with Capristro upgrades such as, carbon fiber seat covers, an amazing exhaust system, and carbon fiver side mirrors. No accidents and rarely used. Perfect condition. Low miles and loaded with most options. Engine is surrounded by carbon fiber. Please contact us for more information on the vehicle. Contact Us Dealer Contact World Class Exotics Standard Equipment ENTERTAINMENT Window grid antenna AM/FM stereo w/6-disc CD player -inc: MP3 playback, speed-compensated volume control, aux input, external memory control, 30GB internal storage, Bluetooth, (6) speakers 2 front seat LCD monitors EXTERIOR Black side windows trim Pwr tailgate Aluminum panels Black grille Rain detecting variable intermittent wipers Fully automatic auto-leveling HID headlights w/daytime running lights, washer, delay-off Body-colored front bumper LED brakelights Light tinted glass P235/35ZR20 front & P295/40ZR20 rear Pirelli P-Zero tires Heated body-colored pwr-folding pwr side-adjustable mirrors Body-colored door handles Rear fog lamps 20" painted alloy wheels Liftgate rear cargo access Lip spoiler Rocker panel extensions Fixed rear window w/defroster Body-colored rear bumper w/black bumper insert INTERIOR Fixed front head restraints Interior trim -inc: aluminum instrument panel insert, aluminum door panel insert, leather/aluminum console insert, aluminum interior accents, leather upholstered dashboard Pwr front windows w/driver 1-touch up/down, passenger 1-touch down Valet function Front map lights Leather front bucket seats w/leather back material Leather door trim insert Fixed rear windows Sport leather-wrapped steering wheel Front cupholder Full cloth headliner Dual-zone front auto climate control Illuminated locking glove box Pwr door locks w/autolock Pwr-locking fuel-flap Manual tilt/telescoping steering column Sport bucket seats Driver foot rest Instrumentation -inc: voltmeter, oil pressure, engine coolant temp, tachometer, oil temp, redundant digital speedometer, outside temp Cargo area lighting Fade-to-off interior lighting Perimeter alarm Front door storage bins Remote keyless entry w/integrated transmitter, illuminated entry, pwr trunk latch Engine immobilizer Full floor console w/storage -inc: 12V DC pwr outlet Front center armrest Full carpet floor covering -inc: carpeted front floor mats Air filtration Day/night rearview mirror MECHANICAL 165-amp alternator Front/rear anti-roll bars Multi-link rear suspension w/coil springs Driver-selectable Ride Control suspension Electro-hydraulic pwr-assist speed-sensing steering Electro-mechanical limited slip differential 7-speed dual clutch automated manual transmission -inc: driver selectable mode, F1-Superfast sequential shift control w/steering wheel controls, oil cooler Dual stainless steel exhaust w/polished tailpipe finisher 5.14 Axle Ratio Double-wishbone front suspension w/coil springs Engine: 4.5L DOHC V8 w/direct injection Magnetic fluid-filled shock absorbers 4-wheel vented ceramic disc brakes w/Hill Hold control Rear-wheel drive 65-amp/hr 760CCA maintenance-free battery w/run-down protection SAFETY Electronic stability control (ESC) Driveline traction control Side impact beams Dual-stage driver & passenger airbags w/passenger off switch F1-Trac anti-lock brakes Dual-stage driver & passenger door-mounted side airbags Secure Online Credit Application Applying for a vehicle loan online is one of the quickest and easiest application methods. Our secure online application form is easy to complete, all you need are a few personal and employment details. Get started now. Below are a few of the other vehicles currently available from World Class Exotics Shipping World Class Exotics proudly recommends Earth Auto Shippers for your vehicle transport. Earth Auto Shippers is a fully licensed vehicle shipping company. Earth Auto Shippers offers "door-to-door" low-cost shipping services using enclosed and open trailers. View more info » Terms and Conditions Payment Methods Cash (in person), certified check, bank transfers, or 3rd-party financing. All funds must be in US dollars only. Please be sure to have full payment and/or approved financing in place before making your final bid. Winning Bidder must contact World Class Exotics Inc within 24 hours of the close of the auction. Call us for more information. Deposit The successful high bidder will submit a $500 non-refundable deposit within 3 business days of the close of the auction to secure the vehicle. Payment of Balance Due The buyer agrees to pay remaining balance due (plus applicable fees and taxes) within 5 days of the close of the auction. All financial transactions must be completed before delivery of the vehicle. Additional Fees and Taxes All California residents must pay state and local tax, title and license fees. Out of state buyers are responsible for their own state taxes and fees. All winning bidders are subject to a state Vehicle Inventory Tax of Total of the selling price and a Dealership Documentary Fee of 150$. Shipping The buyer is responsible for all shipping charges. We will assist the buyer with finding a shipping company at a competitive price. We assume no responsibility for damages incurred after leaving our premises. If the vehicle is going to be shipped, full payment must be received before the vehicle is delivered to the shipping company. Buyer's Inspection Every effort has been made to accurately and fairly describe this vehicle to you. World Class Exotics Inc has tried to disclose all information known about this vehicle for auction. Please be advised that used vehicles will have typical scratches and dings inherent for their year and mechanical parts are subject to fail. World Class Exotics Inc welcomes and recommends a buyer's inspection. If you plan to have a buyers inspection, please make sure you inspect the vehicle prior to the auction ending. Buyer is responsible for any inspection charges and fees. Warranty Unless otherwise stated in the vehicle description, this vehicle is being sold "as is". No representations or warranties are made by seller, nor are any representations or warranties relied upon by bidders in making bids. Manufacturer's warranties may still apply. Extended warranties may be available; please contact us for details. Notice to Bidders We reserve the right to cancel all bids and end the auction early should the vehicle no longer be available for sale. NOTE: All of our eBay inventory is available for sale at our dealership. We will end auctions early should a vehicle be sold at the dealership. Bid Retractions Bid retractions are not allowed nor will be recognized within 12 hours of auctions end. Seller will not be obligated to sell in the event of a late retraction. Negative Feedback Bidders We do not allow bidding from negative feedback bidders. New bidders with zero feedback rating should email us or call us prior to bidding. Successful Bidder The winning bidder will be contacted via email after the auction closes or he/she must contact World Class Exotics within 24 hours to proceed with payment and delivery arrangements. Non-Paying Bidder If the deposit is not received within 3 business days of the close of auction or if the balance is not paid in full within 5 days following the close of auction, we reserve the right to re-list the vehicle or sell the vehicle to the next highest bidder or another qualified buyer. Ad created by eCarList.com. Call 214-722-8200 to find out how eCarList can service your dealership. Exterior POOR AVERAGE GOOD EXCELLENT Interior POOR AVERAGE GOOD EXCELLENT Mechanical POOR AVERAGE GOOD EXCELLENT Below are a few of the other vehicles currently available from Luxury Motor Cars, Ltd Terms and Conditions Terms and Conditions 925-maserati is a registered eBay user name of Luxury Motor Cars Ltd is a California Dealer operating under CA License number 83454. 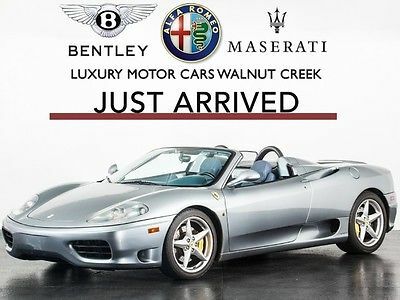 Luxury Motor Cars Ltd is located at 2330 N. Main, Walnut Creek, CA 94596. Luxury Motor Cars Ltd 's office can be reached at 925-444-2000 At Auction Close Successful "winning" bidder must telephone 925-444-2000within 24 hours after the auction has ended to verify purchase and make arrangements to complete the transaction. Within (4) business days of the end of auction, full payment must be received either by cashiers-check, approved bank draft, or certified funds. If funds are not received, and an alternate arrangement has not been made, the vehicle can and will be made available to other potential buyers on a first-come, first-serve basis. Our Guarantee We have disclosed as much information as possible about this vehicle and aim to only carry quality pre-owned merchandise. Luxury Motor Cars Ltd recommends all vehicles be inspected BEFORE leaving our facility. If upon personal and/or authorized professional inspection of the eBay purchased vehicle at our facility, buyer finds a substantial discrepancy between the published report and actual vehicle, we will either correct the problem at no charge, or work out a compromise, or refund all monies paid. Buyer will not be responsible for any eBay related fees and will be dismissed from any contractual obligation with eBay to purchase the vehicle if and only if inspection proves vastly different from published ad. Shipping - Transport of Vehicle Returns are allowed in the event the vehicle is shipped and you are dissatisfied. However, a 10% restocking fee applies and the return must take place within 7 days from receipt and the vehicle must have fewer than 200 miles difference upon return. Return shipping fees are the obligation of the buyer. Luxury Motor Cars Ltd values your business! We want you to be completely satisfied with your online automotive experience from purchase to delivery. Please understand that Luxury Motor Cars Ltd will arrange shipping for you as a value added service only. We are NOT the shipping company. All shipping questions and/or concerns should be addressed directly with the shipping company used to transport said vehicle. Should you be unsatisfied with your shipping service, please let us know! We aim to recommend only quality vendors. Accepted Forms of Payment Luxury Motor Cars Ltd accepts cashiers’ checks, certified funds, or verified drafts from known/approved financial institutions. We also accept payment from online lenders Capital One Auto Finance, and eBay Finance. All buyers pay a $100.00 administrative fee plus a $50.00 documentary fee. Vehicle Inventory tax is calculated at 0.18% (that equates to $18.00 per $10,000 spent). CA buyers must pay [8.50%] sales tax plus applicable CA fees. Out-of-state buyers are responsible for their own taxes, registration, etc. in their own states. Ad created by eCarList.com. Call 214-722-8200 to find out how eCarList can service your dealership. 2013 Ferrari 458 Spider Vital Information Year Make Model Mileage Engine 2013 Ferrari 458 Spider 2,350 4.5L DOHC V8 Engine Exterior Interior Stock# VIN Grigio Silverstone Metallic Rosso #D0195823 ZFF68NHA1D0195823 Vehicle Video Photos Contact Us Dealer Contact Prestige Imports Carfax Standard Equipment ENTERTAINMENT AM/FM stereo w/6-disc CD player -inc: MP3 playback, speed-compensated volume control, aux input, external memory control, 30GB internal storage, Bluetooth, (6) speakers 2 front seat LCD monitors Concealed antenna EXTERIOR Light tinted glass LED brakelights Body-colored rear bumper w/black bumper insert Rocker panel extensions Power rear window w/defroster Heated body-colored pwr-folding pwr side-adjustable mirrors Aluminum panels Rain detecting variable intermittent wipers Body-colored door handles Black side windows trim Black grille Fully automatic auto-leveling HID headlights w/daytime running lights, washer, delay-off Pwr convertible hard top w/lining -inc: glass rear window, fixed roll-over protection, pwr wind blocker 20" painted alloy wheels P235/35ZR20 front & P295/40ZR20 rear Pirelli P-Zero tires Trunk rear cargo access Rear fog lamps Lip spoiler Body-colored front bumper INTERIOR Full floor console w/storage -inc: 12V DC pwr outlet Fade-to-off interior lighting Illuminated locking glove box Manual tilt/telescoping steering column Driver foot rest Sport leather-wrapped steering wheel Full carpet floor covering -inc: carpeted front floor mats Engine immobilizer Front map lights Pwr door locks w/autolock Instrumentation -inc: voltmeter, oil pressure, engine coolant temp, tachometer, oil temp, redundant digital speedometer, outside temp Front door storage bins Full cloth headliner Perimeter alarm Front cupholder Leather front bucket seats w/leather back material Interior trim -inc: aluminum instrument panel insert, aluminum door panel insert, leather/aluminum console insert, aluminum interior accents, leather upholstered dashboard Remote keyless entry w/integrated transmitter, illuminated entry, pwr trunk latch Pwr-locking fuel-flap Cargo area lighting Leather door trim insert Sport bucket seats Dual-zone front auto climate control Fixed front head restraints Day/night rearview mirror Valet function Air filtration Pwr front windows w/driver 1-touch up/down, passenger 1-touch down MECHANICAL 7-speed dual clutch automated manual transmission -inc: driver selectable mode, F1-Superfast sequential shift control w/steering wheel controls, oil cooler Electro-mechanical limited slip differential Dual stainless steel exhaust w/polished tailpipe finisher Rear-wheel drive Engine: 4.5L DOHC V8 w/direct injection Multi-link rear suspension w/coil springs 5.14 Axle Ratio 4-wheel vented ceramic disc brakes w/Hill Hold control Magnetic fluid-filled shock absorbers 165-amp alternator 65-amp/hr 760CCA maintenance-free battery w/run-down protection Driver-selectable Ride Control suspension Electro-hydraulic pwr-assist speed-sensing steering Front/rear anti-roll bars Double-wishbone front suspension w/coil springs SAFETY F1-Trac anti-lock brakes Electronic stability control (ESC) Dual-stage driver & passenger airbags w/passenger off switch Side impact beams Dual-stage driver & passenger door-mounted side airbags Driveline traction control Secure Online Credit Application Applying for a vehicle loan online is one of the quickest and easiest application methods. Our secure online application form is easy to complete, all you need are a few personal and employment details. Get started now. Below are a few of the other vehicles currently available from Prestige Imports About Prestige Imports Prestige Imports has served luxury vehicle owners of South Florida for more than three decades, and during this period has cemented its reputation as one of America's premier automotive retailers. The Prestige Imports family includes four premium vehicle franchises in North Miami Beach, including one of North America's leading Lamborghini dealerships and the nation's top-selling Audi dealership. In addition to its new vehicle offerings, Prestige Imports hosts an impressive inventory of luxury pre-owned vehicles from such esteemed brands as Aston Martin, Audi, Bentley, BMW, Ferrari, Jaguar, Lamborghini, Land Rover, Lotus, Maserati, Maybach, Mercedes-Benz, Porsche, Rolls-Royce and Saleen. To visit the Web sites of our dealerships, please select from the brand logos on this page or choose from the following links: Lamborghini Miami (Lamborghini) Prestige Audi (Audi) Lotus Miami (Lotus) Pagani Miami (Pagani) Feel free to follow us on Instagram: @prestigeimports Ad created by eCarList.com. Call 214-722-8200 to find out how eCarList can service your dealership. 2011 Ferrari 458 Italia Vital Information Year Make Model Mileage Engine 2011 Ferrari 458 Italia 6,987 4.5L DOHC 32-Valve V8 Engine Exterior Interior Stock# VIN Rosso Corsa Tan #B0180431 ZFF67NFA4B0180431 Photos Contact Us Dealer Contact Prestige Imports Carfax Standard Equipment ENTERTAINMENT AM/FM stereo w/6-disc changer, auxiliary audio input, iPod integration, Bluetooth -inc: MP3 playback, speed-sensitive volume control, (6) speakers EXTERIOR Rear lip spoiler 20" x 8.5" front & 20" x 10.5" rear painted alloy wheels Rear fog lamps Variable intermittent wipers Bi-xenon HID auto leveling headlamps -inc: washers 235/35R20 front & 295/35R20 rear performance tires Heated pwr-adjustable, foldable mirrors INTERIOR Leather dashboard Front leather-trimmed bucket seats w/4-way adjustments Rear window defroster Driver footrest Tilt/telescoping leather-wrapped steering wheel w/audio controls Full-floor console w/box Security system w/engine immobilizer Pwr door locks Front bucket seats w/4-way adjustments Leather door trim Cargo light Aluminum accents Remote trunk release Leather/aluminum console insert (1) 12V pwr outlet Reading lights Aluminum door panel insert Dual front door bins Remote keyless entry Pwr windows w/1-touch down Dual-zone automatic climate control Illuminated entry Cloth headliner Instrumentation -inc: systems monitor, redundant digital speedometer, in-dash clock, outside temp gauge, tachometer Illuminated, locking glove box MECHANICAL Battery run-down protection Front & rear independent active, adjustable self-leveling suspension -inc: magnetic fluid-filled shocks, front & rear stabilizer bars Dual stainless steel exhaust w/polished tailpipes Rear limited slip differential 7-speed dual-clutch automatic transmission with manual override Brembo 4-wheel vented disc brakes Rear wheel drive Variable electric-assist pwr steering 4.5L DOHC 32-valve V8 engine SAFETY 4-wheel anti-lock brakes Electronic traction control Daytime running lights Dual front airbags w/front passenger on/off Side-mounted airbags Electronic stability control Height-adjustable seatbelts w/pre-tensioners Tire pressure monitoring system Secure Online Credit Application Applying for a vehicle loan online is one of the quickest and easiest application methods. Our secure online application form is easy to complete, all you need are a few personal and employment details. Get started now. Below are a few of the other vehicles currently available from Prestige Imports About Prestige Imports Prestige Imports has served luxury vehicle owners of South Florida for more than three decades, and during this period has cemented its reputation as one of America's premier automotive retailers. The Prestige Imports family includes four premium vehicle franchises in North Miami Beach, including one of North America's leading Lamborghini dealerships and the nation's top-selling Audi dealership. In addition to its new vehicle offerings, Prestige Imports hosts an impressive inventory of luxury pre-owned vehicles from such esteemed brands as Aston Martin, Audi, Bentley, BMW, Ferrari, Jaguar, Lamborghini, Land Rover, Lotus, Maserati, Maybach, Mercedes-Benz, Porsche, Rolls-Royce and Saleen. To visit the Web sites of our dealerships, please select from the brand logos on this page or choose from the following links: Lamborghini Miami (Lamborghini) Prestige Audi (Audi) Lotus Miami (Lotus) Pagani Miami (Pagani) Feel free to follow us on Instagram: @prestigeimports Ad created by eCarList.com. Call 214-722-8200 to find out how eCarList can service your dealership. Photo Viewer 2008 Ferrari 599 GTB Fiorano Vital Information Year Make Model Mileage Engine 2008 Ferrari 599 GTB Fiorano 9,580 6.0L DOHC MPFI 48-Valve V12 Engine Exterior Interior Stock# VIN SILVESTONE #1261UC ZFFFC60A080159059 view window sticker Carfax Highlights View Carfax Report Not all accidents or other issues are reported to CARFAX. The number of owners is estimated. See the full CARFAX Report for additional information and glossary of terms. Carfax Highlights No Accidents / Damage Reported to CARFAXNo Airbag Deployment Reported to CARFAXVehicle Qualifies for the CARFAX Buyback GuaranteeNo Structural/Frame Damage Reported to CARFAXNo Manufacturer Recalls Reported to CARFAXNo Indication of an Odometer Rollback3 OwnersNo Total Loss Reported to CARFAX Photos Description 2008 Ferrari 599 GTB Fiorano Check out this gently-used 2008 Ferrari 599 GTB Fiorano we recently got in. This 2008 Ferrari 599 GTB Fiorano comes with a CARFAX Buyback Guarantee, which means you can buy with confidence. With amenities and luxuries befitting a modern day king, this splendorous coach reigns supreme. 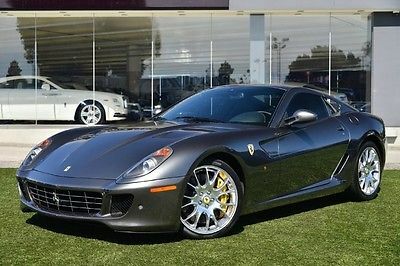 Added comfort with contemporary style is the leather interior to heighten the quality and craftsmanship for the Ferrari 599 GTB Fiorano This Ferrari 599 GTB Fiorano is in great condition both inside and out. No abnormal "wear and tear". You will never have to worry about keeping up with traffic in this 599 GTB Fiorano as it packs a beast under the hood. This 599 GTB Fiorano has a flawless finish that complements its wonderful interior. You'll instantly stand out with this hard-to-find 2008 599 GTB Fiorano . Be sure to prepare yourself to get noticed in this ultra rare 599 GTB Fiorano. Equipped with upgraded wheels, this Ferrari 599 GTB Fiorano is stunning to see driving down the street. More information about the 2008 Ferrari 599 GTB Fiorano: It may cost more than four times as much as a Corvette Z06, but the 2008 Ferrari 599 GTB Fiorano is a supercar that can handle the commute. The Fiorano combines race car performance with a truly upscale interior and luxury options that include a navigation system and parking sensors. The 599 GTB is one of the best performance cars available and it may be one of the most comfortable as well. Strengths of this model include Blistering performance, luxury to match the price tag., and gorgeous styling Contact Us Dealer Contact O'Gara Coach Westlake AutoCheck Carfax Ask Dealer A Question If you have a question, please call or complete the form below for a quick response. Name Email Phone Question(s) Standard Equipment EXTERIOR Variable intermittent rain-sensing wipers Light tinted windows Auto on/off bi-xenon projector beam headlamps w/washers Front/rear fog lights Rear spoiler Pwr heated mirrors w/tilt-down feature INTERIOR In-dash clock Alloy trim on gear knob Aux pwr outlet Ignition immobilizer Lighting-inc: delayed/fade courtesy lights, reading lights, cargo area light Aluminum gear shift knob Pwr locks Passenger-side visor vanity mirror Front/rear floor mats Lighting-inc: dome light, front reading lights, cargo light Leather trim on doors & dashboard Instrumentation-inc: tachometer, oil pressure, engine temp, trip odometer, ambient temp gauge, low tire pressure warning Multi-display unit-inc: tire pressure & temp monitoring system, trip computer, lap times Pwr remote trunk/hatch release Security system Rear bucket seats w/adjustable head restraints Full leather headliner Leather-trimmed pwr tilt/telescopic steering wheel w/starter button, manettino Automatic two-zone climate control Front leather 8-way pwr adaptive racing bucket seats w/memory, adjustable lumbar, adjustable head restraints, carbon-fiber side rests Rear window defogger Hideaway AM/FM stereo w/MP3 capable CD player, (8) speakers Aluminum instrument panel insert Driver/passenger door pocket bins Carbon fiber trimmed dashboard Pwr windows w/driver one-touch down Window grid antenna Cigar lighter w/ashtray Floor console w/passenger central grip Front/rear center armrest Remote keyless entry MECHANICAL Front/rear vented disc brakes Magnetorheological fluid suspension Limited-slip rear differential P305/35ZR20 rear tires Independent front/rear wishbone suspension w/coil springs 6.0L DOHC MPFI 48-valve V12 engine P245/40YR19 front tires Rear wheel drive Brakeforce distribution Front/rear stabilizer bar 6-Speed manual transmission 19" front/20" rear alloy wheels Pwr rack-&-pinion steering PROCESSING-OTHER City 11/hwy 15 (6.0L engine/6-speed manual trans) City 11/hwy 15 (6.0L engine/6-speed sequential manual trans) SAFETY Driver & front passenger front airbags w/passenger shutoff switch F1-Trac traction & stability control 4-wheel Anti-lock Brake System (ABS) Driver & front passenger side-impact airbags Side-impact beams 3-point seat belts w/pretensioners Driver & front passenger front airbags Below are a few of the other vehicles currently available from O'Gara Coach Westlake Why Buy Here? At O’Gara Coach Company our Customer Experience Measurement standard is set higher than other dealers because we believe our clients deserve only the best. Our friendly and knowledgeable staff is serious about bringing new and established clients the very best customer service for their special automotive purchase. We offer custom-tailored leases and the best financing options with our exclusive in-house leasing company. We would be honored to have you visit our showroom and join us for a hot cappuccino and experience any of our luxury or performance automobiles first hand. O’Gara Coach offers the most advantageous financing and leasing options tailor-made to your exact requirements. We understand the importance of providing financing and leasing options that best suit your current and future automobile needs. We customize financing and leasing to match your individual preferences and your lifestyle. Whether you desire a New or Certified Pre-Owned automobile, our knowledgeable sales specialists are ready and able to customize competitive finance and lease options. As North America’s largest Aston Martin, Bentley, Lamborghini and Rolls-Royce retailer, O’Gara Coach enjoys an excellent relationship with all of the manufacturers’ captive financing and leasing partners. We also enjoy the privilege of our own in-house lease company for our most discerning clients. The extensive sales and leasing experience, coupled with our supreme sales volume, allows O’Gara Coach flexibility in procuring our clients the best terms and conditions in their automobile acquisitions. We accept all automobile trades and ship worldwide. Please contact a sales specialist today to learn more about our consignment program. Please feel free to contact us with any questions at 888-524-3366 or through email. Ad created by eCarList.com. Call 214-722-8200 to find out how eCarList can service your dealership. 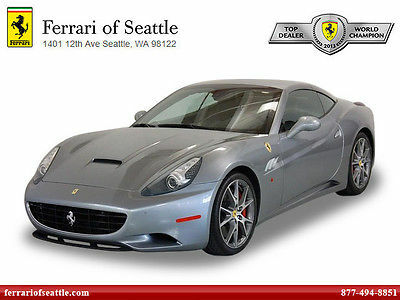 Photo Viewer 2011 Ferrari California VIEW OTHER AUCTIONS ASK SELLER QUESTION Vital Information Year Make Model Mileage Engine 2011 Ferrari California 7,165 4.3L DOHC DI 32-Valve V8 Engine Exterior Interior Stock# VIN Grigio Titanio Metallic Nero #12676 ZFF65LJA0B0181545 Carfax Highlights View Carfax Report Not all accidents or other issues are reported to CARFAX. The number of owners is estimated. See the full CARFAX Report for additional information and glossary of terms. Carfax Highlights No Accidents / Damage Reported to CARFAXNo Airbag Deployment Reported to CARFAXVehicle Qualifies for the CARFAX Buyback GuaranteeNo Structural/Frame Damage Reported to CARFAXNo Manufacturer Recalls Reported to CARFAXNo Indication of an Odometer RollbackCARFAX 1-OwnerNo Total Loss Reported to CARFAX Photos Description 2011 Ferrari California Description: Titanium Exterior / Nero (black) Interior Options Include:Red brake calipers, Cruise control,Ferrari Ipod, Electrically operated seats, Diamond stitching Front/Rear seats, Magnaride Dual mode suspension, Inn. Electro Cromatic mirror with Homelink, Front and rear park sensors,Aluminum drivers/pass footrest, Diamond style door panels, 20 Wheels, Yellow rev counter, Sat radio antenna, High power Hi-Fi system, Special stitching (Grigio Scuro/silver) Sold and serviced by Ferrari and Maserati of Seattle. Contact Us Dealer Contact Ferrari Of Seattle AutoCheck Carfax Standard Equipment ENTERTAINMENT Entertainment system w/navigation -inc: 6.5" touch-screen, navigation system, 30GB hard drive, USB port, voice command, Bluetooth, auxiliary input AM/FM in-dash CD/DVD player w/MP3 playback and 30GB hard drive, auxiliary audio input, satellite radio capability, diversity antenna, (7) speakers Steering wheel audio controls Pre-wired for phone (2010) Bluetooth connectivity EXTERIOR Rain & speed-sensitive intermittent windshield wipers Rear fog lamps Pwr retractable aluminum hardtop Glass rear window Rear LED brakelights (2010) Pwr heated exterior mirrors High-intensity projector beam headlights -inc: washers, delay-off, dusk sensor 285/40ZR19 rear tires Rear lip spoiler 19" silver aluminum wheels 245/40ZR19 front tires INTERIOR Pwr windows -inc: one-touch up/down 12V front pwr outlets (2010) Retained accessory pwr (2010) Front console w/storage Front reading lights Instrumentation -inc: tachometer, current gear & speed, TFT display, tire pressure warning, outside temp, trip computer Metal/leather-wrapped steering wheel 50/50 folding rear bucket seats Steering wheel-mounted Manettino drive-mode selector -inc: comfort, sport and track modes Aluminum dashboard trim Sport bucket front seats -inc: 6-way pwr driver seat, 4-way front passenger seat, driver/passenger lumbar Remote anti-theft alarm system (2010) Rear defogger Remote pwr door locks Illuminated entry Front cupholders (2010) Aluminum shift knob Front floor mats Pwr tilt/telescoping steering wheel Dual-zone climate control w/driver & passenger controls Leather seat trim MECHANICAL Rear wheel drive Limited slip differential 4.3L DOHC DI 32-valve V8 engine Front & rear stabilizer bars Aluminum body & chassis (2010) Launch control (2010) 7-speed automatic transmission -inc: manual sequential sport shift, F1-style paddle shifters Rear multi-link suspension Speed-sensitive pwr rack-&-pinion steering Front double-wishbone suspension Brembo ceramic disc brakes Variable timing for intake & exhaust SAFETY 4-wheel anti-lock brakes Passenger airbag occupant sensing deactivation (2010) Dual front airbags Dual front side airbags F1-Trac traction & stability control system Child seat anchors (2010) Emergency interior trunk release (2010) Below are a few of the other vehicles currently available from Ferrari Of Seattle About Us At Ferrari of Seattle, the State of Washington's only official Ferrari dealer, we take pride in our unsurpassed knowledge of the Ferrari brand. Since opening our doors in the summer of 1999, we've made sure to diligently serve our customers in the only way we can: the Ferrari way. Located on Seattle's Capitol Hill, just east of Downtown on the corner of 12th Ave. and Madison St., the Ferrari of Seattle dealership has become a local landmark, its aesthetics a pleasure to behold from both outside and within. The 36,000 square foot facility, housed in a historic Seattle building, is home to a picturesque indoor showroom containing our entire fleet of cars, an impeccable service department, and an additional indoor storage facility for our clients' vehicles. Ebay Terms and Conditions We reserve the right to end this listing at anytime should the vehicle no longer be available for sale. The following terms of sale apply to all of our listings. Payment Terms: The successful high bidder will submit a $1,000 non-refundable deposit within 2 business days of the close of the auction to secure the vehicle. Buyer agrees to pay remaining balance due (plus applicable fees and taxes) within 5 days of the close of the auction. All financial transactions must be completed before delivery of the vehicle. Payment Methods: Cash (In Person), certified check, bank transfer, or 3rd-party financing. Fees and Taxes: Washington State residents and buyers must pay all applicable city, state, and county taxes prior to delivery. Please call with questions. All transactions subject to a negotiable $150 documentary service fee. Out of state buyers are responsible for all state, county, city taxes and fees, as well as title/registration fees in the state that the vehicle will be registered. Ad created by eCarList.com. Call 214-722-8200 to find out how eCarList can service your dealership. 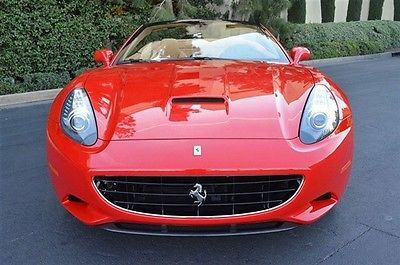 Photo Viewer 2014 Ferrari 458 Spider VIEW OTHER AUCTIONS ASK SELLER QUESTION Vital Information Year Make Model Mileage Engine 2014 Ferrari 458 Spider 1,694 4.5L 8-Cyl Engine Exterior Interior Stock# VIN Blue Cuoio #12702 ZFF68NHA5E0199990 Carfax Highlights View Carfax Report Not all accidents or other issues are reported to CARFAX. The number of owners is estimated. See the full CARFAX Report for additional information and glossary of terms. Carfax Highlights No Accidents / Damage Reported to CARFAXNo Airbag Deployment Reported to CARFAXVehicle Qualifies for the CARFAX Buyback GuaranteeNo Structural/Frame Damage Reported to CARFAXNo Manufacturer Recalls Reported to CARFAXNo Indication of an Odometer RollbackCARFAX 1-OwnerNo Total Loss Reported to CARFAX Photos Description 2014 Ferrari 458 Spider Blue Elettrico over Cuoio & Blu Medio Leather. Options Include: AFS System, Yellow Brake Calipers, Colored Safety Belts in Blu, Lower Tunnel in Leather, Leather Central Tunnel in Cuoio Leather, Colored Upper Dashboard in Blu Medio, Front Dashboard Trim in Blu Medio, Suspension Lifter, Horse Stitched on Headrest in Beige Chiaro, Internal Grids in Leather Color, Heat Insulation Windscreen, iPod Connection, Scuderia Shields, Electric Steering Column Adjuster, Auto Dimming Mirrors, RadioNavi System+Bluetooth, Rear Parking Sensors, Paint Color Upon Sample Blu Elettrico, White Rev Counter, Carbon Fiber Racing Seats in Large, 20 Diamond Finish Sport Rims, Leather Headliner in Cuoio, Hi-Power Hi-Fi System, Special Stitching in Beige Chiaro, Colored Steering Wheel in Blu Medio, Upper Part in Cuoio Leather, Blu Medio Central Stripe on Seats, Lowered Suspension, Stoneguard, Hidden Radar Detector, One-Owner, Sold & Serviced By Ferrari of Seattle, Remainder of Factory Warranty plus Genuine Maintenance Program. 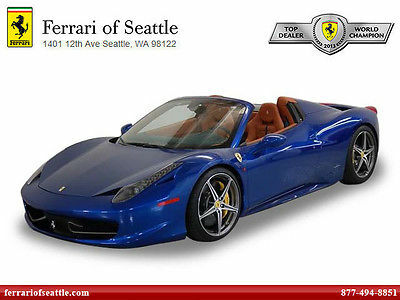 Contact Us Dealer Contact Ferrari Of Seattle AutoCheck Carfax Standard Equipment ENTERTAINMENT Radio: AM/FM/MP3/USB/6-Disc CD w/30GB Hard Disc Drive -inc: CD slot located in the glove box, Bluetooth wireless connectivity Radio w/MP3 Player, Clock, Speed Compensated Volume Control, Aux Audio Input Jack, Steering Wheel Controls, External Memory Control and 30 Gb Internal Memory 6 Speakers Concealed Antenna 2 LCD Monitors In The Front Bluetooth Wireless Phone Connectivity EXTERIOR Rain Detecting Variable Intermittent Wipers Power Rear Window w/Defroster Body-Colored Door Handles Body-Colored Front Bumper LED Brakelights Rocker Panel Extensions Light Tinted Glass Trunk Rear Cargo Access Fully Automatic Projector Beam High Intensity Low/High Beam Daytime Running Auto-Leveling Headlamps w/Washer and Delay-Off Tires: P235/35ZR20 Front & P295/40ZR20 Rear -inc: Pirelli P-Zero Black Grille Body-Colored Rear Bumper w/Black Bumper Insert Power Convertible Retractable Hard Top w/Lining, Glass Rear Window, Fixed Roll-Over Protection and Power Wind Blocker Black Side Windows Trim Aluminum Panels Rear Fog Lamps Body-Colored Power Heated Side Mirrors w/Power Folding Wheels: 20" Painted Alloy Lip Spoiler Clearcoat Paint INTERIOR Air Filtration Day-Night Rearview Mirror Driver Foot Rest Systems Monitor Leather Bucket Front Seats w/Leather Back Material Power 1st Row Windows w/Driver And Passenger 1-Touch Down and w/Driver 1-Touch Up Outside Temp Gauge Perimeter Alarm Power Door Locks w/Autolock Feature Front Map Lights Interior Trim -inc: Aluminum Instrument Panel Insert, Aluminum Door Panel Insert, Leather/Aluminum Console Insert, Aluminum Interior Accents and Leather Upholstered Dashboard Valet Function Gauges -inc: Speedometer, Odometer, Voltmeter, Oil Pressure, Engine Coolant Temp, Tachometer, Oil Temperature and Trip Odometer Illuminated Locking Glove Box Engine Immobilizer Includes Manual Recline and Fore/Aft Movement Remote Keyless Entry w/Integrated Key Transmitter and Illuminated Entry FOB Controls -inc: Trunk/Hatch/Tailgate Driver And Passenger Door Bins Sport Leather Steering Wheel Full Cloth Headliner Analog Display Redundant Digital Speedometer Full Carpet Floor Covering -inc: Carpet Front Floor Mats 1 12V DC Power Outlet Dual Zone Front Automatic Air Conditioning Fade-To-Off Interior Lighting Full Floor Console w/Storage and 1 12V DC Power Outlet Manual Tilt/Telescoping Steering Column Leather Door Trim Insert Power Fuel Flap Locking Type Cargo Space Lights Sport Bucket Seats 2 Person Seating Capacity Front Cupholder Fixed Front Head Restraints Carpet Floor Trim Remote Releases -Inc: Power Trunk/Hatch and Power Fuel MECHANICAL Driver Control Ride Control Adaptive Suspension 4-Wheel Disc Brakes w/4-Wheel ABS, Front And Rear Vented Discs, Hill Hold Control, Ceramic Discs and Ceramic Discs Electro-Mechanical Limited Slip Differential 4-Wheel Disc Brakes w/4-Wheel ABS, Front And Rear Vented Discs, Hill Hold Control, Ceramic Discs and Electric Parking Brake Engine: 4.5L DOHC V8 w/Direct Injection Double Wishbone Front Suspension w/Coil Springs Driver Control Ride Control Suspension Dual Stainless Steel Exhaust w/Polished Tailpipe Finisher Transmission w/Driver Selectable Mode, F1-Superfast Sequential Shift Control w/Steering Wheel Controls and Oil Cooler 165 Amp Alternator Front And Rear Anti-Roll Bars Electro-Hydraulic Power Assist Speed-Sensing Steering Rear-Wheel Drive Magnetic Fluid-Filled Shock Absorbers Multi-Link Rear Suspension w/Coil Springs 5.14 Axle Ratio 65-Amp/Hr 760CCA Maintenance-Free Battery w/Run Down Protection 22.7 Gal. Fuel Tank Transmission: 7-Speed Dual Clutch Automated Manual -inc: F1-style paddle shift SAFETY Side Impact Beams Dual Stage Driver And Passenger Front Airbags w/Passenger Off Switch Outboard Front Lap And Shoulder Safety Belts -inc: Pretensioners Electronic Stability Control (ESC) Dual Stage Driver And Passenger Door-Mounted Side Airbags Tire Specific Low Tire Pressure Warning F1-Trac ABS And Driveline Traction Control Below are a few of the other vehicles currently available from Ferrari Of Seattle About Us At Ferrari of Seattle, the State of Washington's only official Ferrari dealer, we take pride in our unsurpassed knowledge of the Ferrari brand. Since opening our doors in the summer of 1999, we've made sure to diligently serve our customers in the only way we can: the Ferrari way. Located on Seattle's Capitol Hill, just east of Downtown on the corner of 12th Ave. and Madison St., the Ferrari of Seattle dealership has become a local landmark, its aesthetics a pleasure to behold from both outside and within. The 36,000 square foot facility, housed in a historic Seattle building, is home to a picturesque indoor showroom containing our entire fleet of cars, an impeccable service department, and an additional indoor storage facility for our clients' vehicles. Ebay Terms and Conditions We reserve the right to end this listing at anytime should the vehicle no longer be available for sale. The following terms of sale apply to all of our listings. Payment Terms: The successful high bidder will submit a $1,000 non-refundable deposit within 2 business days of the close of the auction to secure the vehicle. Buyer agrees to pay remaining balance due (plus applicable fees and taxes) within 5 days of the close of the auction. All financial transactions must be completed before delivery of the vehicle. Payment Methods: Cash (In Person), certified check, bank transfer, or 3rd-party financing. Fees and Taxes: Washington State residents and buyers must pay all applicable city, state, and county taxes prior to delivery. Please call with questions. All transactions subject to a negotiable $150 documentary service fee. Out of state buyers are responsible for all state, county, city taxes and fees, as well as title/registration fees in the state that the vehicle will be registered. Ad created by eCarList.com. Call 214-722-8200 to find out how eCarList can service your dealership.